TravelEurope Ascona hotel reservation service provides you with a wide variety of lodging and hotel options, from cheap hotels to luxury accommodation in Ascona. Quick and easy hotel reservations with instant confirmation and great value for money whether you travel for business or tourism. Select travel dates and find all available hotels in Ascona, check out guests reviews and locate properties on Ascona city maps, book your favourite accommodation with no pre-payment. All rates are in Euros and inclusive of all taxes. 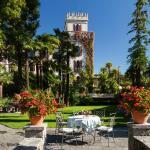 The hotel Giardino is a beautiful 5-star hotel located in Ascona. A short walk from the harbor and from the shore of Lake Maggiore, this hotel offers excellent value for money and a personal and attentive service. 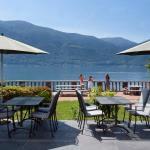 The Hotel Eden Roc is situated in the quiet town of Ascona, in the immediate vicinity of the ferry terminal NLM. 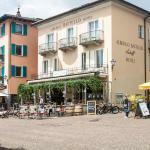 Walking short distances by car you can reach the bus station Posta and the Ascona Golf Course. The friendly Hotel Collinetta is surrounded by a park full of wonderful plants, lemon trees and palm trees, overlooking the shores of Lake Maggiore, near the pretty town of Ascona. Along the banks of the Maggia river, close to Lake Maggiore, you will be welcomed by the Parkhotel Delta, which boasts a restaurant with 15 points from Gault Millau guide and is surrounded by a huge green park.